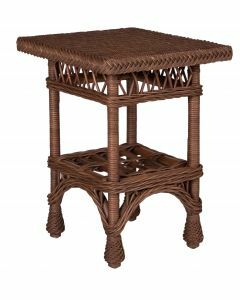 Fall in love with the intricate design of this hand carved rattan end table. 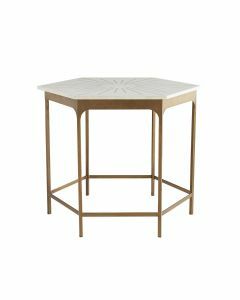 It is also highlighted with brass accents. It measures 25”W x 25”D x 24”H. Click on image for greater detail.